Are Illinois Non-Compete Agreements Still Valid for Low-Level Employees? Are Employee Non-Compete Agreements Still Valid for Low-Level Employees? Non-compete arguments are staple in every Chicago Business Lawyer’s legal arsenal and a necessary to protect a business under certain circumstances. A non-compete agreement, also known as a non-competition covenant or clause, is an agreement between an employer and an employee that places restrictions on the employee after the employment relationship ends. 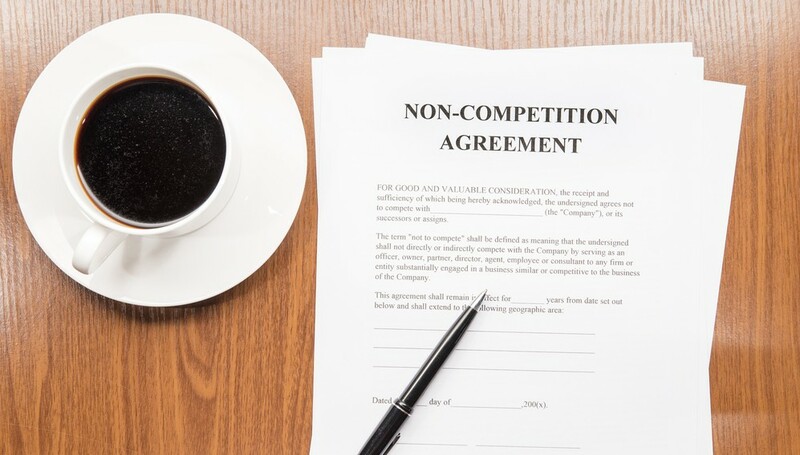 Non-compete agreements can be useful tools for businesses that want to protect their investment in the training and development of their staff. Typically, these agreements restrict former employees from working for certain competitors for a specified period of time. Although Illinois courts tend to dislike non-competes, courts will enforce a non-compete agreement if drafted property. When considering the enforceability of non-compete agreements, Illinois courts look to see if the agreement is reasonable and supported by adequate consideration. In particular, when determining the reasonableness of a non-compete, the court considers whether the terms of the agreement are no more than what is required to protect the legitimate business interest of the employer, and narrowly tailored in terms of time, activity and place. Determining whether an employer has a legitimate business interest to protect is difficult. Illinois courts consider all of the facts related to a non-compete, such as whether the employer’s relationships with its customers are permanent, or if the employee gained confidential information while working for the employer. Despite the liberal and practical use of non-compete agreements, Illinois has been wary of the hardships placed on low-level employees forced to sign them. In June 2016, Illinois Attorney General Lisa Madigan filed a lawsuit against Jimmy John’s Enterprises. The lawsuit claimed the shop had “no legitimate business interest to warrant the imposition of any non-compete agreements on shop employees and assistant manager.” The complaint alleged the sole purpose of the agreements was “to chill any effort by employees to consider leaving for another employer.” The claim also took issue with the scope of the agreements, which restricted former employees from seeking employment at any other restaurants that sold sandwiches for two years, if the new employer was within two miles of any Jimmy John’s store in the united states. The complaint alleged both the lack of consideration and the breadth of the agreements rendered them “unreasonable and unenforceable under Illinois law.” Of note, the complaint alleged the use of non-compete agreements affect a substantial segment of the resident of Illinois, through direct or indirect impact of decreased employee mobility, the restraint of trade, and limiting the pool of available workers. Although the lawsuit was settled by Jimmy Johns in December 2016, the shortcomings of sweeping non-compete agreements across every level of business were brought to light in the public arena. In the wake of the Jimmy John’s settlement, Illinois has addressed the perils of low-wage employee non-compete clauses freaky fast. As of January 1, 2017, The Illinois Freedom To Work Act (the Act) expressly prohibits the use of non-compete agreements when contracting with minimum-wage employees. The Act, although short, will have a significant impact on private sector employers who routinely require all employees, regardless of job level or wage, to enter into non-compete agreements. The Act helps to helps combat employers who routinely issue non-compete agreements with new hire packets to employees who pose no real threat to the company’s legitimate business interests if they were to leave the company and join a competitor. What trade secrets or proprietary confidential information would a janitor or restaurant cashier come to learn during their employment such that a non-compete agreement would be necessary? Additionally, it combats the chilling effect on employees looking to change jobs. Most low-level employees do not have the resources to hire an attorney to evaluate the enforceability of a non-compete agreement. The Act follows closely the significant decision in Fifield v. Premier Dealership Servs., 2013 Il App (1st) 120327, 933 N.E.2d 938 (Ill App, Ct. 2013). The court in Fifield scrutinized the “consideration” supporting restrictive covenants, ruling “at-will” employment alone is insufficient consideration to support a valid non-compete covenant under Illinois Law. The court held that two or more years of continued employment is required to constitute adequate consideration for a non-compete agreement where there is no additional, independent consideration. This bright-line rule impacted employers who rely on initial employment as consideration for entering into non-compete agreements. These recent changes in Illinois law drastically impact companies who blindly and universally issue non-compete agreement to all newly hired employees. Although the Act strictly prohibits the use of non-compete agreements, Chicago business lawyers must be aware of comparable alternatives not addressed by the Act, which can be more appropriate. Confidentially, non-disclosure, and non-solicitation agreements can adequately protect business when lower-level employees leave. Concerns about trade secrets and proprietary information may be adequately guarded by confidentially and non-disclosure agreements for low-level employees. Additionally, a non-solicit agreement may be appropriate to help prevent departing employees from taking other employees along. Illinois courts are more likely to enforce agreements that are reasonable and limited in reach than one that restricts the lowest level of employee from earning a living. Although these changes are relatively new, Illinois has joined other states taking action to limit the scope of restrictive covenants, such as Massachusetts, Wisconsin and Nevada. It is important to note that many other states have an outright prohibition against these covenants as well, such as California, Oklahoma and North Dakota. In order to avoid judicial scrutiny, employers should take the opportunity to evaluate their use of restrictive covenants and non-compete agreements. An informal audit can be taken within a business to determine to identify why they have non-compete agreements and what legitimate business interests they are trying to protect, in order to prevent the possibility of future legal recourse.